As you know, our regular MobileHeist offers provide Treonauts readers with outstanding deals on great products for a very limited time. 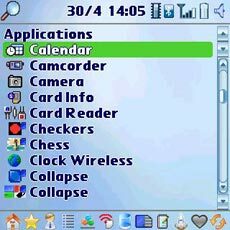 On this occasion, our partner, iambic, has a provided us with a fantastic offer: we’re giving away a FREE copy of Propel (a $14.95 value) for Palm OS Standard Edition with any purchase over $4.99 in either our Treo Software Store or Centro Software Store! Propel Standard Edition is the ultimate launcher for your Treo or Centro smartphone. When you start using it you’ll be amazed at how snappy and straightforward launching applications will be. This popular title normally sells for $14.95 but for two days only, this Thursday & Friday, June 19th & 20th we’re going to give away a free copy with any purchase over $4.99 in our software stores. To get this terrific application completely free you just need to 1) add Propel Standard Edition to your shopping cart; 2) add at least one software title priced at $4.99 or more and then 3) simply enter the coupon code PROPELFREE in your cart. As I mentioned in my original Propel review, this is a very powerful, fast, vastly customizable and simple to use launcher for your smartphone – one which delivers pretty much anything that you’ve ever wanted in a launcher. The level of customization that Propel offers is truly staggering and it manages this with in an extremely simple and very complete Preferences menu. Among others, you can have up to 7 unique “Views” (each view is fully customizable and is preset with Applications, Power User, Contacts, Files On SD Card, Music, Memos and Company Contacts). Overall, both Propel Professional and Propel Standard have been the only applications to have finally managed to convince me of the wide ranging benefits of using a launcher – making it my Editor’s Choice for Best Treo & Centro Launcher. I highly recommend you give it a try and discover for yourself how much better your smartphone experience can be – particularly now that you can actually get Propel for free. If you ever want to use a standard 3.5mm headset with your smartphone then you’ll need this 2.5mm adapter. It’s one of the first and most basic accessories to add to your kit. The new SanDisk MobileMate SD+ Reader for its part is a small and practical high-speed USB 2.0 5-in-1 memory card reader (fits SDHC, miniSDHC and microSDHC cards) that allows you to make the most of those 4GB SDHC cards for your Treo and 4GB microSDHC cards for your Centro by quickly adding or transferring data to them via your PC. Leaving the best for last, here is the opportunity to get your hands on one of the accessories that I have been most excited about in recent months – the new Phoneo Speaker System pictured above for both the Treo and Centro (see my review) which offers you a powerful and extremely well designed sub-$100 all-in-one integrated Speaker + Cradle + Speakerphone unit that in my opinion finally delivers both an affordable and elegant (shiny black and silver) solution to really get your smartphone to “groove”. 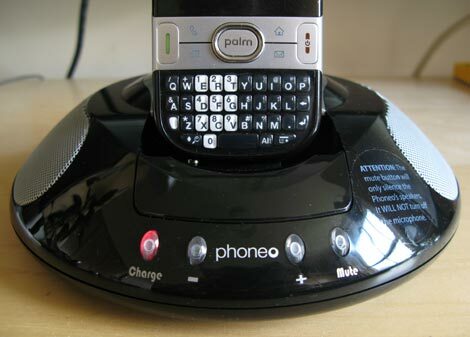 Simply use Coupon Code PHONEO20 during Checkout to save 20% Off this absolutely terrific accessory in either our Treo Store or Centro Store.